Manmohan Singh, (born September 26, 1932, Gah, West Punjab, India [now in Pakistan]), Indian economist and politician, who served as prime minister of India from 2004 to 2014. A Sikh, he was the first non-Hindu to occupy the office. Singh attended Panjab University in Chandigarh and the University of Cambridge in Great Britain. He later earned a doctorate in economics from the University of Oxford. In the 1970s he was named to a series of economic advisory posts with the Indian government and became a frequent consultant to prime ministers. 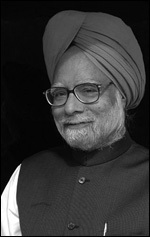 Singh also worked at the Reserve Bank of India, serving as director (1976–80) and governor (1982–85). When he was named finance minister in 1991, the country was on the verge of an economic collapse. Singh devalued the rupee, lowered taxes, privatized state-run industries, and encouraged foreign investment, reforms that helped transform the country’s economy and spark an economic boom. A member of the Indian National Congress, he joined the Rajya Sabha (upper chamber of Parliament) in 1991. Singh, who served as finance minister until 1996, ran for the Lok Sabha (lower chamber) in 1999 but was defeated. Congress won the May 2004 parliamentary elections, defeating the ruling Bharatiya Janata Party (BJP). Congress’s leader, Sonia Gandhi (widow of former prime minister Rajiv Gandhi), declined the prime ministership, instead recommending Singh for the post. Singh subsequently formed a government and took office. His stated goals included helping improve conditions for India’s poor (who generally had not benefited from the country’s economic growth), securing peace with neighbouring Pakistan, and improving relations between India’s various religious groups. Singh presided over a rapidly expanding economy, but rising fuel costs precipitated a marked increase in inflation that threatened the government’s ability to provide subsidies for the country’s poor. In an effort to meet India’s growing energy demands, Singh in 2005 entered into negotiations with U.S. President George W. Bush for a nuclear cooperation pact. The deal called for India to receive fuel technology for nuclear plants and be given the ability to purchase nuclear fuel on the world market. Abroad, the prospective cooperation agreement was resisted by those who were upset over India’s refusal to sign the Treaty on the Non-proliferation of Nuclear Weapons; in India, Singh was criticized for fostering too close a relationship with the United States, which, his critics believed, would use the deal to leverage power in the Indian government. By 2008 progress on the deal prompted members of the government’s Parliamentary majority—communist parties in particular—to denounce Singh’s government and ultimately push for a confidence vote in Parliament in late July 2008. Singh’s government narrowly survived the vote, but the process was marred by allegations—on both sides—of corruption and the purchasing of votes. In the parliamentary elections of May 2009, Congress increased its number of seats in the legislature, and Singh took office as prime minister for a second time. A slowing of India’s economic growth and further allegations of corruption against Congress Party officials hampered governance during Singh’s second term, however, and led to a deterioration of the party’s popularity with the voting population. In early 2014 Singh announced that he would not seek a third term as prime minister in the elections to the Lok Sabha that spring. He left office on May 26, the same day that Narendra Modi of the BJP was sworn in as prime minister.